History: Adolescent with leg pain at night. 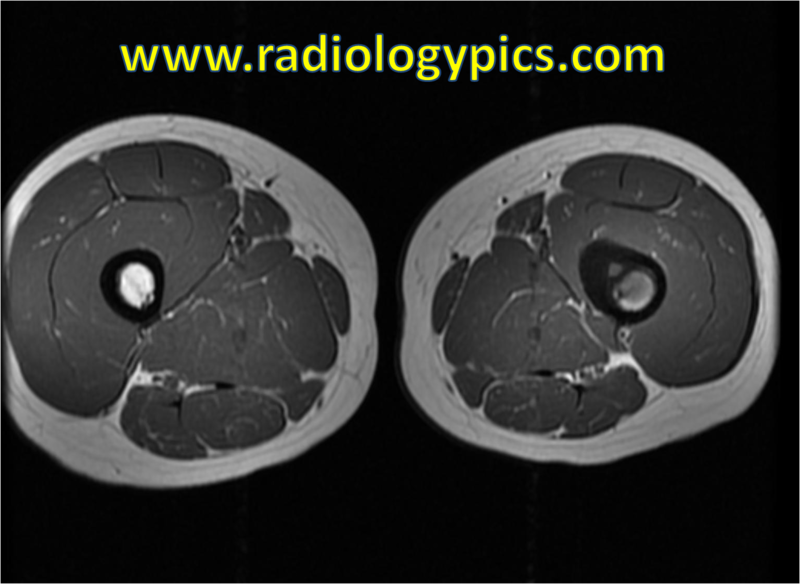 Axial T1 weighted MR image of the thighs at the mid femoral diaphysis. What are the findings? Axial T2 weighted MRI with fat saturation at the same level. What are the findings? 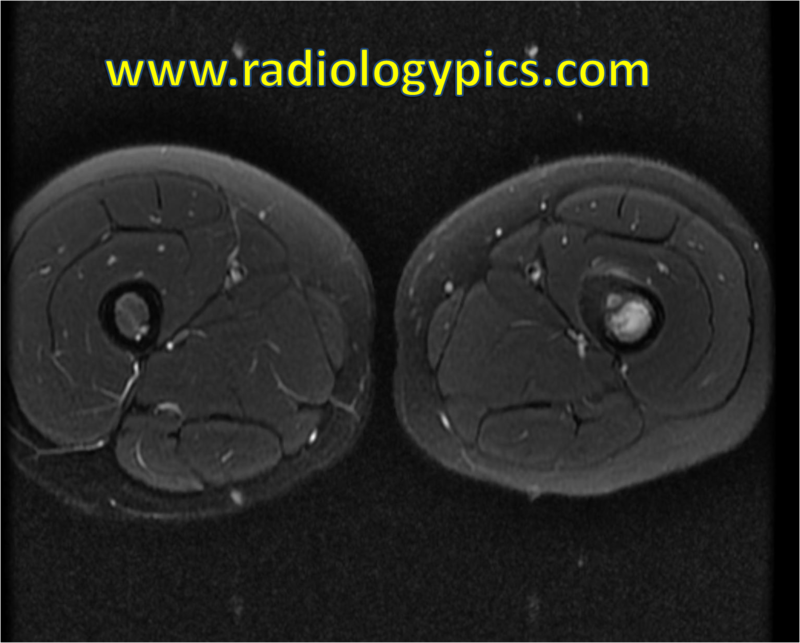 What is your diagnosis for this adolescent with leg pain at night? Comment and share below! I am a radiology physician from California, USA.